Welcome home to Greyeagle, the best-kept secret in Taylors, South Carolina. Enjoy the convenience of being close to everything with easy access to shopping, restaurants, entertainment, local parks, and schools. Our exceptionally convenient location puts you in close proximity to the I-385, I-85, the 29, and 80 for all your commuting needs. An outstanding and comfortable apartment home is in your future. At Greyeagle, finding the right apartment home to fit your needs has never been easier with our one and two bedroom floor plans. Our exquisite apartment features include well-equipped kitchens, central heating and air conditioning, walk-in closets, vaulted ceilings, great views, and more! Greyeagle boasts a pet-friendly environment and great community amenities suitable for any lifestyle. Become a resident and enjoy a relaxing walk around our beautifully landscaped community or spend time with your family pet at the bark park. Entertain friends and family with a barbecue picnic in our pergola with seating and grill area, and in the evening relax around the fire pit. 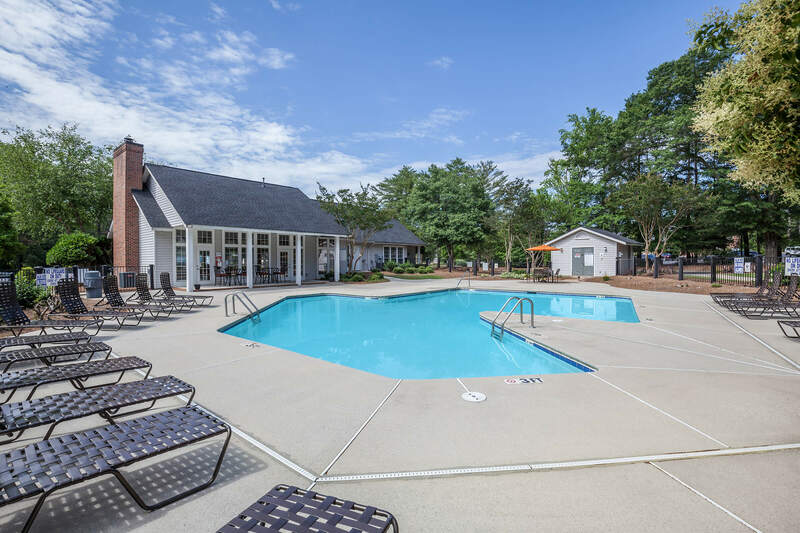 Take advantage of our shimmering swimming pool, clubhouse, state-of-the-art fitness center, laundry facility, and more! Contact our leasing professionals today to learn more about your new home at Greyeagle.